In this lesson I discuss some of the scale and arpeggio choices that I make when playing over a static groove. 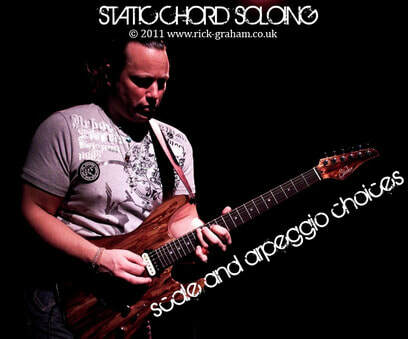 These include regular diatonic arpeggio scale choices to more far out melodic minor and diminished scale ideas. Although this lesson is suitable for any player of any style, the rock player looking to advance into more fusion based territory will really benefit from this.